Like a Britpop Banquo's ghost, Graham Coxon can unsettle Blur through his mere presence. After sparking a six-year hiatus by leaving the group halfway through recording 2003's Think Tank, releasing Spinning Top in such close proximity to his band's summer reunion is a stark reminder that the days when his creative juices could be squeezed entirely into Blur are no more. One can only imagine how quickly the cheers of now middle-aged Girls and Boys across the country died down as they realised that Graham might not be back for good. But while the bespectacled guitarist originally left Blur to explore the rockier pastures of previous solo efforts Happiness in Magazines and Love Travels At Illegal Speeds, this time he's chosen to get in touch with his softer side. Gone are the squalling guitars and choppy punk-riffs; in are gentle acoustic finger-picking and lulling piano. This is Coxon hitting musical middle-age, trading in his skinny jeans for a pair of comfy trousers and slippers, and tackling grander themes of love, life and death rather than the bored ennui of a youthful Camden hipster. At times, it's a swap that yields positive results. Opening track 'Look Into The Light' is a lovely and tender folkish strum with a melody that resembles Leonard Cohen's 'Suzanne' played at the wrong speed by John Peel, while the meandering 'In The Morning' is a charming eight minute escape into a hazy rural dream with a lover with shining "golden hair". Yet after a while, the novelty of Coxon unplugged wears off, worn down by melodies which are easy to forget and lyrics that are hard to forgive. Too often, he strays into twee, such as the cringe worthy 'Perfect Love' and its sickly couplet of "I met you and you met me/ We sang in perfect harmony". The acoustic guitar is a fine outlet when wedded to the mournful introspections of Dylan, or Nick Drake, but Coxon isn't soul searching; he's the musical equivalent of your annoying friend down the pub who won't shut up about his new girlfriend. "Out of the sea, and into the tree/ Flew your perfect love for me"? He's not just lost his amp. He's lost his balls as well. Brief flashes of Coxon's old exuberance occasionally shine through, and like feedback drenched rays from heaven, they help lift Spinning Top. It's never quite turned up to 11, but the fuzzy guitars and nasal vocals of 'If You Want Me' and 'Dead Bees' capture a snarling and, in the case of the former, deceptively menacing tone, while 'Far From Everything' is a hauntingly sombre evocation of quiet loneliness. 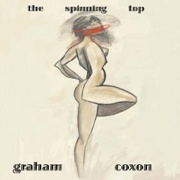 It seems harsh to criticise Coxon for branching out when the main criticism levelled at his Britpop peers Oasis is their reluctance to embrace change, but it's hard to listen to Spinning Top without yearning to hear the guitarist plug it in and do what he does best. Perhaps we should just be grateful that a penchant for acoustic based tunes was the worst habit he picked up while collaborating with Peter Doherty.